Some cars were born to fail. Long before their initial production runs rolled off the line, they were endowed with unreliable engines, sloppy suspensions, mismatched transmissions, or faulty wiring. Many times, they were underpowered. Or just plain ugly. And they were destined to be that way when they left the studio. Here, we’ve collected vehicles that suffered from design and engineering hiccups. From the Corvair and the Pinto to the Gremlin and the Pacer, we offer a peek at the worst of the worst. Any offenders that we missed? Let us know in the comments! 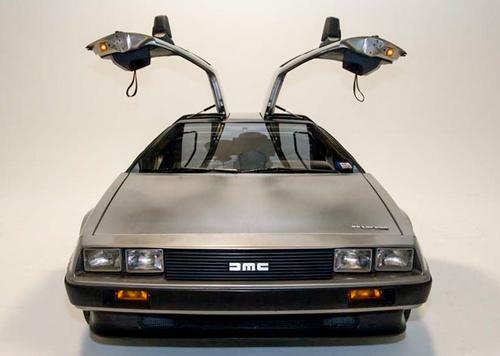 Some DeLorean fans like to say that the 1981 DMC-12 was a great car produced by a farsighted leader to who just happened to have a few legal problems. But history tells us otherwise. The DMC-12 was supposed to have a $12,000 price tag, but budget overruns and engineering problems brought it to $25,000 when it finally hit the market two years late in 1981. It also ended up being too heavy for its Peugeot-Renault-Volvo V-6 engine, causing unhappiness among some performance-oriented buyers. Today, the car’s popularity lives on because of the Back to the Future films, but the real story is not as entertaining as the movies. The DeLorean Motor Co. went bankrupt in 1982, following the founder’s arrest on drug trafficking charges (although he was found not guilty). About 9,000 DMC-12’s were built before production was halted in ’83.